Often i have wondered what motivates us human beings to strive to know even the most trivial things in life. Of course, speculation is a trigger that launches scientific experiments and discoveries. However, i am not talking about objective speculation in that sense. I am talking about the trivial speculation of wanting to know every detail without any tangible benefit to us, except that which we know. In the case of Osama Bin Laden’s death, people in news commentaries demand the release of photographs about his corpse. And i asked myself: Why would people want to see it? 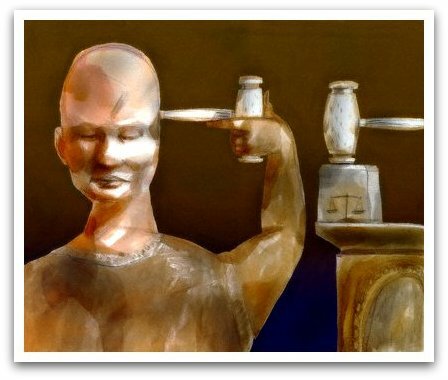 Are we so distrustful of our institutions and of each other that we are now incapable of seeing the larger truth? That our senses need to be satisfied in order to believe? To satisfy our morbid curiosity? So that we can rejoice more in the comfort that he is dead? Really? Understandably, people have learned to be distrustful of governments who keep secrets from its citizenry. But my question is: how do we separate what we need to know versus what we should know? My parents didn’t have to tell me everything – of how they fight to come up with decisions, of how it took them to put up money… In as much as i do not need to know every single thing my girlfriend does when we’re apart. Because demanding that you need to know sows more distrust than having someone disclose it to you in the right time. It’s like working for a big department that focuses on the applied effectiveness of decision science measurements. One always has to grapple with execution issues. Most times, analysts are so paralyzed by the numbers that they can’t make recommendations. Often, i have to remind the younger managers that the ability to execute is a far greater task than to be encumbered by the trivial nuances of the statistical methods. The trivial nuances would be a joy to discuss, study and ponder if we were still all in the academe, where the pursuit of knowledge is an end in itself. But in a business environment, our decision science analytics would not result into anything tangible and beneficial to our customers and stakeholders. Often we call it, Paralysis by Analysis. And often we counter it by asking: What is the Big Picture? 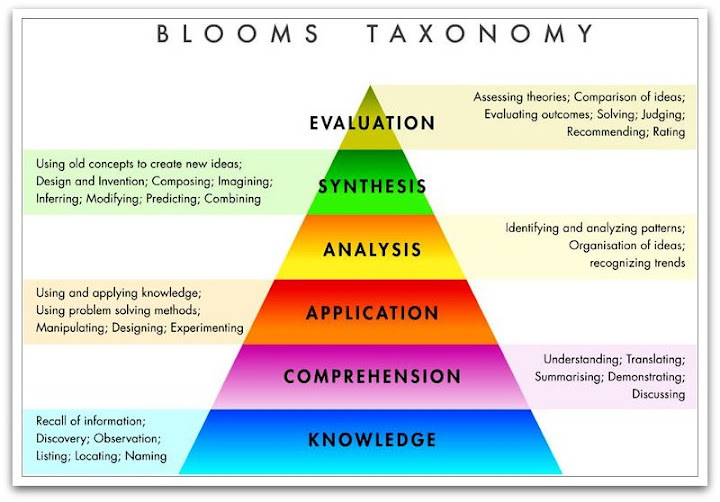 There is a reason why Synthesis sits on the higher learning step on Bloom’s learning taxonomy. It is not enough that you know, understand, apply or analyze. Higher learning posits that you appreciate Synthesis by looking at the larger truth. It is only then that you are able to fully evaluate. But it seems that we skip the synthesis part altogether sometimes that it misleads us to judge things out of context. In my old lectures, i have often used the phrase: “The First Rule is To Know” as an initial requisite to objective evaluation. Yes, the first rule is to know. However, there are limits to what can be known. Knowing should lead to information and not just an amassing of data. Information that is useful and beneficial. I think sometimes people confuse their right to information with a totalitarian right of access. In the case of Bin Laden’s death, the information demand need not be a clamor for photographs but other corroborative, objective evidence such as the DNA results, primary witness identification, or the confirmation by the Al Qaeda. Perhaps what Starky said was true. The clamoring for the photo as evidence of OBL’s death stems from morbid curiosity and emotion. In it of itself, that morbid desire is suspect and may go against the true pursuit of rational fact-finding. That’s why i understand when people say that even if the photos were disclosed, conspiracy theorists and advocates would not believe it anyway. A case of cognitive dissonance. In some decision science lectures, i mentioned the Fourier Theory is helpful in looking at a bigger picture. In photography, the more pixels there are, the clearer the picture becomes. The trick is not to get stuck at the pixels though even if not all of the original pixels to start with were made available. Using Fourier analysis, the original pixels are decomposed further to create constituent pixels . The Fourier Transform will then multiply these pixels. Through the use of filters, the jagged edges of the pixels will be “smoothened.” Finally, through Fourier transform, the pixels will be made to synthesize which results in a clearer picture. The absence of one pixel at the start will not diminish the value of the image. Sometimes, there are approximations of reality. Whether it is a good thing or a bad thing, depends on personal perspective and experience. Being so absolutist and exacting of every little thing is like a heart attack waiting to happen. There is so much more to life than proofs.